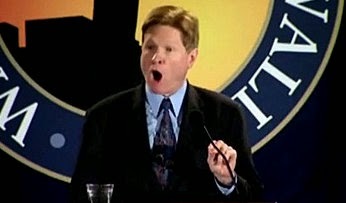 Peter Sprigg Has The Kentucky Sadz - Joe.My.God. “Judge Heyburn’s contention that ‘serious people’ don’t support the definition of marriage that has existed for millenia, demonstrates a measure of contempt – for tens of millions of citizens – wholly unacceptable from someone on the bench. On the contrary, it is those like Judge Heyburn, who can conceive of no ‘rational basis’ for distinguishing the type of relationship which reproduces the human race from all other types of relationship, who cannot be considered ‘serious people.’ Judge Heyburn scoffed at the notion that ‘traditional marriages contribute to a stable birth rate.’ Yet a correlation between those factors is clear. Recent research showed that the bottom six U.S. states in birth rate had all redefined marriage, while none of the top nine states in birth rate had done so. Judge Heyburn explicitly ignored precedents from both the U.S. Supreme Court regarding state definitions of marriage and the U.S. Circuit Court of Appeals for the Sixth Circuit regarding ‘sexual orientation.’ FRC urges public officials in Kentucky to immediately appeal today’s ruling to the Sixth Circuit and continue to vigorously defend its marriage law.” – Family Research Council vice president Peter Sprigg, via press release.